Coffee House Press — Nica Carrillo, from left, Publisher Chris Fischbach, Justin Phillip Reed, Erika Stevens and Mandy Medley — celebrated Reed’s win. 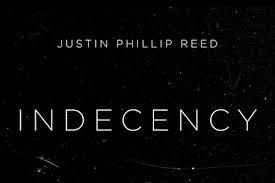 "Indecency," by Justin Phillip Reed, has won the National Book Award for poetry, handing Minneapolis publisher Coffee House Press its first National Book Award. Graywolf Press of Minneapolis had two finalists: "A Lucky Man," a collection of linked stories by Jamel Brinkley, and "Eye Level," by Jenny Xie. You can read more about the night here from the Associated Press. Isabel Allende attends the 69th National Book Awards Ceremony Ceremony and Benefit Dinner at Cipriani Wall Street on Wednesday, Nov. 14, 2018, in New York. Host Nick Offerman before the 69th National Book Awards Ceremony and Benefit Dinner at Cipriani Wall Street on Wednesday, Nov. 14, 2018, in New York.